Dubai is the Mecca for shoppers, but it is also an excellent place to enjoy a romantic getaway. From a cruise on a Dhow to a desert safari or hot air ballooning, there are plenty of things to do with your partner that will only bring you closer. Many five-star hotels and resorts will complete a romantic holiday in Dubai. Whether you are looking for a modern, cosmopolitan luxury hotel, a sprawling palace with regal suites that make you feel like royalty or a charming five-star boutique hotel with stunning views of the sea, Dubai has something for you. 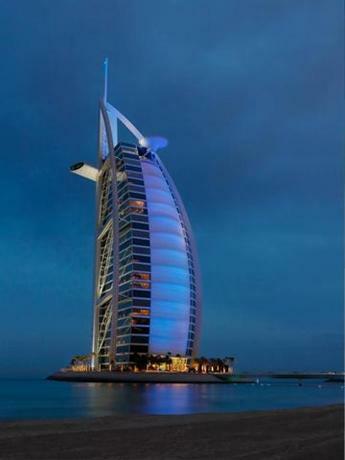 The Burj Al Arab hotel was meant to be the world’s most luxurious hotel when it was built on its island, and many would say it is the world’s best luxury hotel. Everything is set up for romance – a Rolls Royce to drive you in, a helicopter at your service if you want, private receptions on every floor, suites with discreet check-in, personal butlers that help you make the most of your romantic getaway in Dubai, and more. 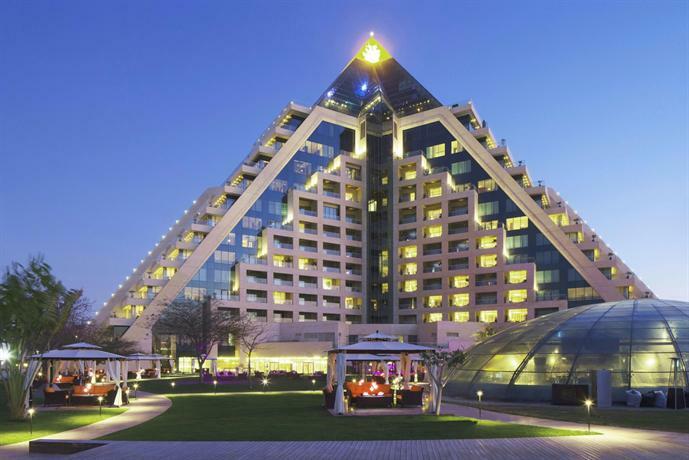 The hotel features stunning views of the Arabian Gulf and the beaches of Jumeirah. The terrace has two swimming pools and luxury cabanas to soak in the sun, and the luxurious Talise Spa suspended over the Arabian Gulf. The suites have floor-to-ceiling windows looking over the Gulf, and the décor is plush and tastefully regal. The Al Mantara signature restaurant offers delectable French cuisine perfect for a romantic dinner. You can also spend some quality time with your loved one in the evenings on the terrace, with shisha pipes by your side, a breeze blowing over the Gulf and surrounded by exotic sounds. 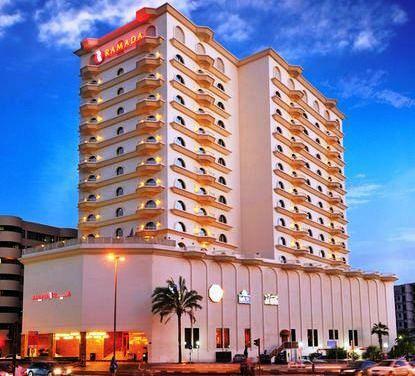 The four-star Ramada Dubai is famous as a business hotel since it’s close to the international airport, and the World Trade Center. But it’s also an excellent place to go for a romantic weekend. The Dubai Mall and other shopping destinations are nearby, and so is Jumeirah Beach. When you’re tired of shopping, drop into a warm and elegant room or suite tastefully decorated in beige and wood tones. The service at the hotel will put many five stars to shame, and you’ll find the reception and staff, in general, are highly professional and will give you a warm welcome. Spend a day by the pool on the roof, have Chef make you a special breakfast, and choose from several restaurants nearby to dine. 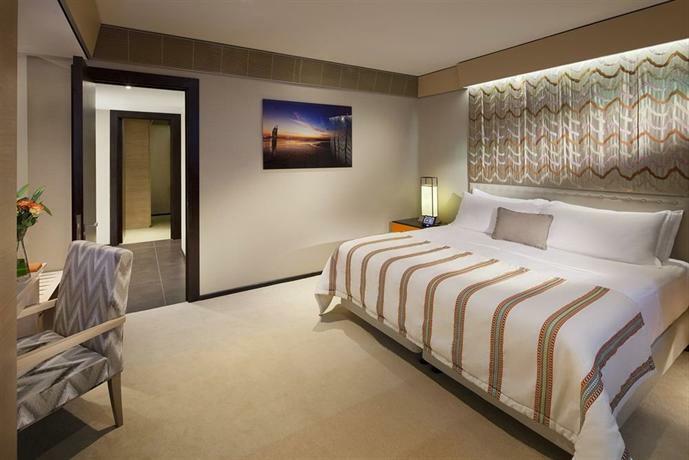 The rooms at Ramada Dubai are spacious and well-appointed and very popular with couples. A stay at The Palm Dubai is on every couple’s bucket list, and with good reason. The resort is one of the most intimate Dubai resorts on its island, dotted with swaying palms and decorated in a traditional Arabic style. The amenities are modern and luxurious, in the rooms, villas and suites that overlook the pool, as well as in the shady terraces where you can relax and enjoy the stunning views of the Gulf. If you stay at a beach villa, you get direct access to the beach and enjoy personalised service. There are three restaurants where you can enjoy romantic dining. Especially try a meal by Michelin-starred chef Yannick Alleno. While you’re staying at The Palm, you can enjoy watersports, golf and excursions, as well as indulgent spa treatments in the One&Only Spa’s private treatment rooms and indoor pool. Armani Hotel oozes sophistication from its modern steel-and-glass décor that is made warmer by the wood detail and plush furnishings. 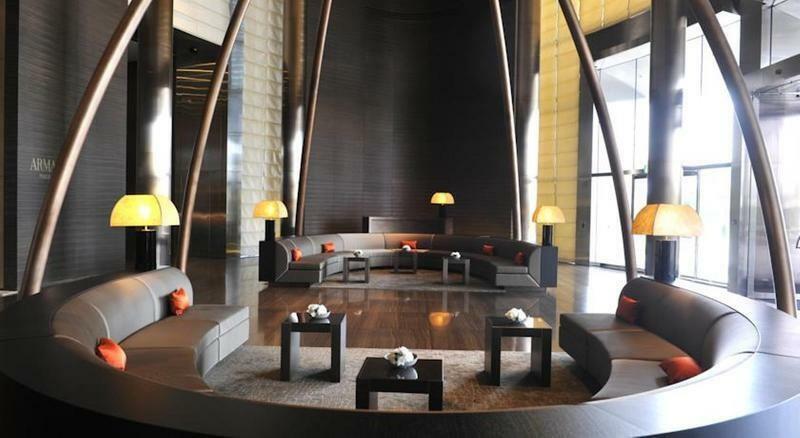 The hotel was envisioned by fashion designer Giorgio Armani and is an icon of beauty. It is located 11 floors above the Burj Khalifa skyscraper, which is Dubai’s tallest. The rooms are designed with a subtle elegance, and you’ll find luxurious textures, and Japanese tatami mats complement the curved lines to make a comfortable and elegant living area. Couples will love the deluxe spa that offers sequential bathing and personal treatments. The hotel has seven restaurants, offering you more choices for your romantic holiday than you’d expect. There is also a nightclub, the Armani Prive, where you can let your hair down with your partner. 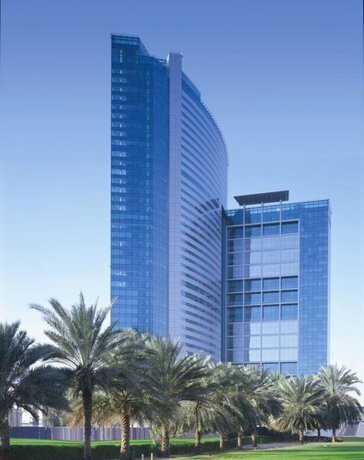 The Armani Hotel gives you direct access to Dubai Mall and other luxury shopping and excellent dining options. 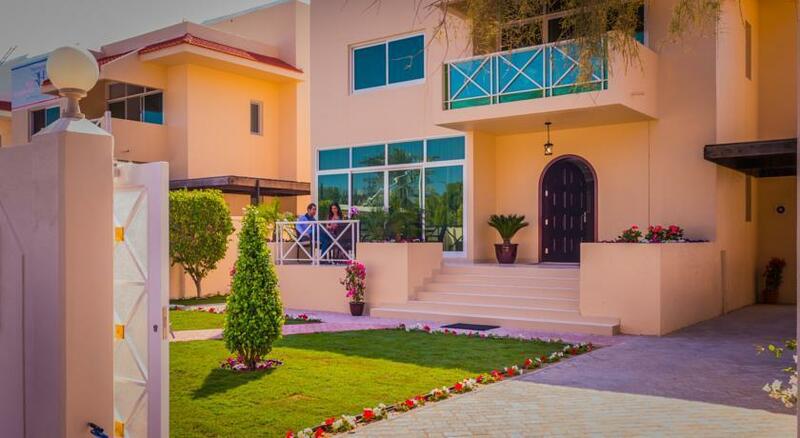 The Roda Boutique Villas is a charming and elegant self-catering option centrally located in Jumeirah. Many couples will enjoy the extra privacy that self-catering accommodations offer over hotels. The villa is particularly romantic because of its spacious rooms, tasteful quality furnishings and fabrics, floor to ceiling windows, perfect lighting and spacious, well-appointed bathrooms with luxury fittings. Couples will love the terrace and balcony, as well as the well-appointed kitchen, though you have the option of dining at the Roda Cafe as well. There are a chill-out lounge and a private beach club where you can relax. Many of the rooms look out onto the beautiful garden. The villa also has a fitness centre. If you want to spend a day shopping, you’ll find the Galleria Shopping Mall is nearby, as is the Mall of Emirates and Burj Khalifa. 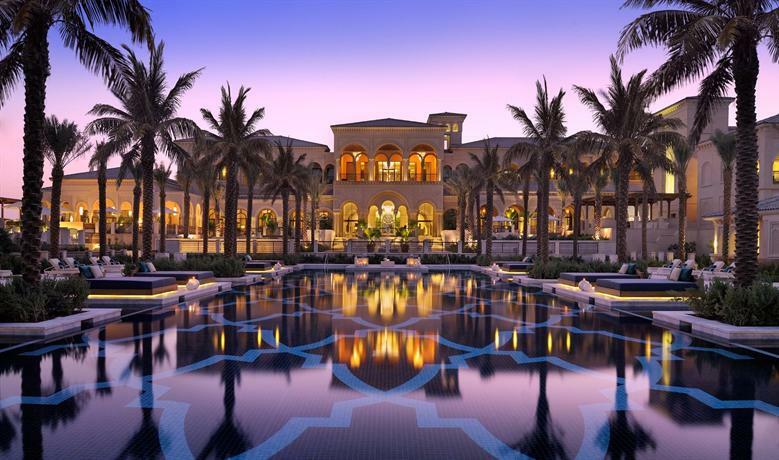 The lush and lavish One&Only Royal Mirage aims to give guests a royal stay with 65 acres of gardens, a kilometre of private beach and plenty of peace and decadent amenities. The hotel is located in The Palm Island Bay and is close enough to the Dubai Marina that you can explore iconic Dubai sites and return to the splendid isolation of your luxurious suite at the Royal Mirage. 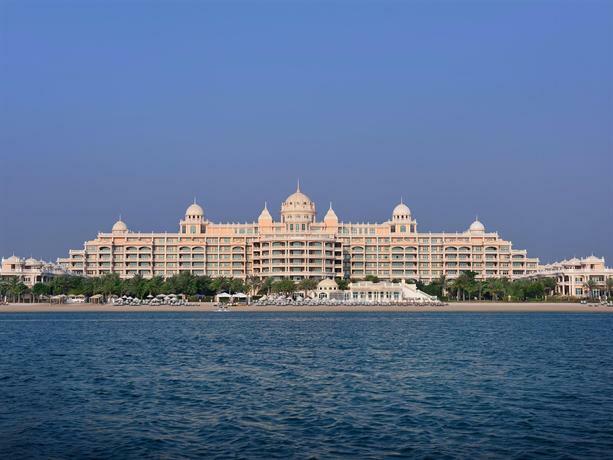 The resort offers world-class service, royal décor and stunning views across the Arabian Gulf. Suites at the resort are themed, and each room is designed individually, depending on whether it is located at the Arabian Court, the Palace or the Residence & Spa. Couples will enjoy a stay equally well in any of these environments, especially the rooms connected with the spa which offers modern and ancient treatments. The spa has a hammam, offers massages and haircuts by reputed stylist Alexander Zouari, and plenty of other indulgences for guests. The resort also has seven restaurants to dine! This lavish 5-star hotel on 2 km of the private beach has landscaped gardens and canals, rooms and suites that overlook the lawns or the Gulf, and private balconies in many rooms. The rooms are spacious, with antique furnishings that instantly transport you to an exotic Arabian past. The brunch at Al Qasr is highly praised, and you will enjoy sitting outdoors and waiting for one of Dubai’s best brunches surrounded by stunning views. There is nothing more romantic than dining at the seafood restaurant that is perched over the Arabian Gulf. Couples will love to relax on the hotel’s private beach with complimentary fresh fruit from the hotel. For a change, they could also lounge in the large pool complex or enjoy a spa treatment. The Talise Spa offers treatments and massages that will complete your romantic holiday. The resort has 44 restaurants and bars nearby to indulge you. If you want a downtown shopping spree, the excellent concierge will guide you to the nearest luxury shopping. The charming boutique style Mina A’ Salam hotel in Jumeirah has spacious rooms and suites with balconies that have views of the sea. There is something for everyone here. 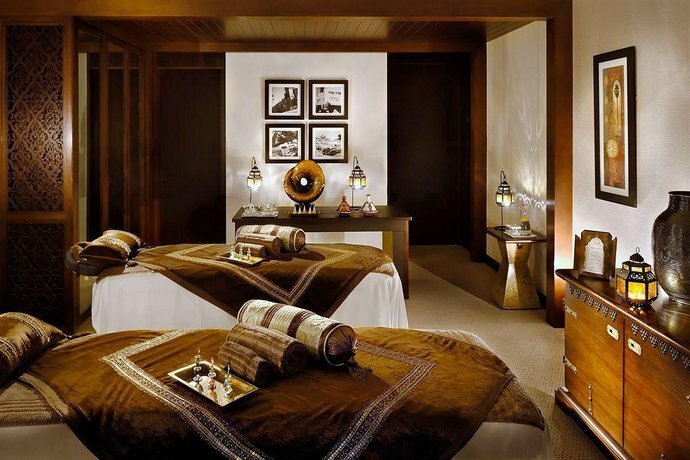 Couples will love the Talise spa that offers plenty of treatments and massage to hotels in the Madinat Jumeirah resort. You can enjoy yachting in the Dubai Marina, tennis and watersports with your loved one. Afterwards, you can come back to a room that is designed with elegant, eclectic touches of Middle Eastern opulence. Beds are comfortable, meals are delicious, and the staff is very attentive at Jumeirah Mina A’Salam. Raffles Dubai keeps standards high for five-star hotels in Dubai. It has an international, contemporary flavour in its design and décor, which is inspired by the pyramids of Egypt. The rooms are cosy and outfitted in elegant and warm colours, and luxurious fabrics and furnishings. Bathrooms are sumptuous with luxury fixtures and fittings. All rooms have balconies, and even the lower priced rooms are mini-suites with generous living areas and beds. Every room comes with butler service for its guests. Raffles is known for its hospitality, and there are luxurious fabrics and handcrafted ornaments in every room. The outdoor pool and spa are very popular with couples, with an extensive menu of spa treatments and steam and sauna rooms. Dining options are excellent, at Raffles salon which serves delicious afternoon tea and fine dining at the Japanese restaurant TOMO. Guests can shop at Wafi, which is just a short walk away. Jumeirah Beach Hotel will be inviting for couples who want to spend time at a private beach. The hotel has spacious rooms with tall windows that look over the Arabian Gulf. Every room is outfitted with luxury furnishings and all the modern entertainment facilities you need. Enjoy a romantic couple’s massage at the Talise spa for the ultimate rejuvenation. Get pampered with shiatsu, Swedish massage, facials, aromatherapy and other treatments after a day of shopping at the Mall of Emirates (to which the hotel provides a complimentary shuttle). Enjoy the exotic air at the rooftop bar, pool bar and lounge. The hotel offers a wide choice of international cuisines to share an intimate dinner with your loved one. Hotel staff is professional, friendly, and pays a lot of attention to detail. Couples are particularly fond of the hotel’s central location, though once you enter the hotel, the bustle of Dubai’s central tourism and shopping industry falls away. 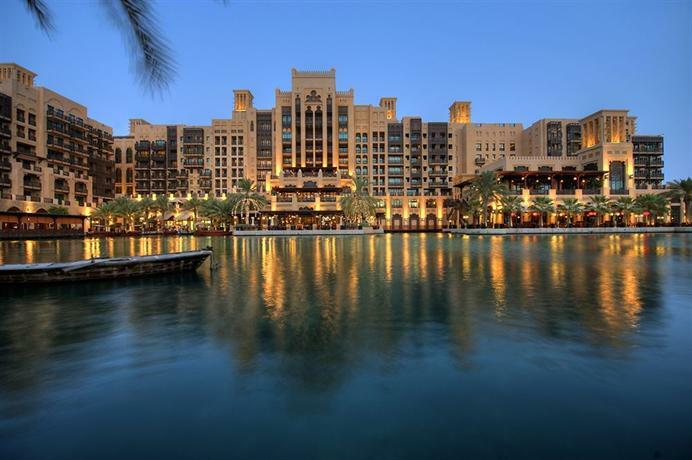 Madinat Jumeirah is a sprawling resort that is the largest in Dubai, designed to look like an Arabian town. The Jumeirah Dar Al Masyaf is a courtyard of 29 charming summer houses that present the epitome of romance. The summer houses are designed in traditional Arab style, with Middle-Eastern design touches in the elegant and luxurious bedrooms and living rooms. The summer houses have lovely balconies with furnishings, overlooking the pool, living rooms with soaring ceilings and chandeliers to entertain friends, elegant bathrooms with marble and luxury fittings, and private beaches. Guests can enjoy pampering at the Talise Spa with a variety of treatments and stay fit in the well-equipped fitness room. All of Madinat Jumeirah offers couples plenty of romantic nooks and crannies to explore, but the summer houses of Dar Al Masyaf are remarkably intimate and designed to give you an exotic, memorable Dubai holiday. The Kempinski Hotel and Residences on exclusive Palm Island is a picture of romance, with its salmon pink palatial facade and lawns dotted with palms. The suites at the Kempinski set high standards for luxury. 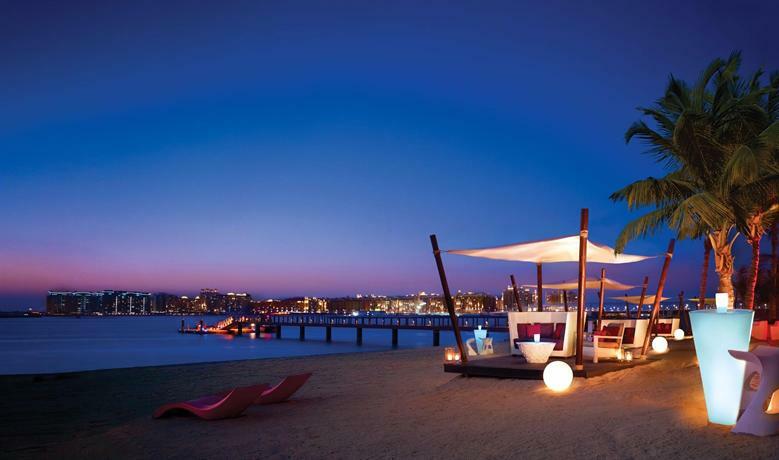 They overlook the sea or the lagoon, with private sandy beaches that offer views of the Dubai skyline. The suites are complete with a private balcony, a fully equipped kitchen, a dining area and modern entertainment systems. The hotel also has a full-service spa where guests can enjoy beauty treatments, body wraps and more. Couples will love a sumptuous Mediterranean dinner at the Brunello restaurant, after cocktails at the K-West Bar. You can also enjoy a barbecue by the beach for a romantic outdoor dinner. Couples with shopping on the agenda can take the free shuttle bus to the Mall of Emirates. 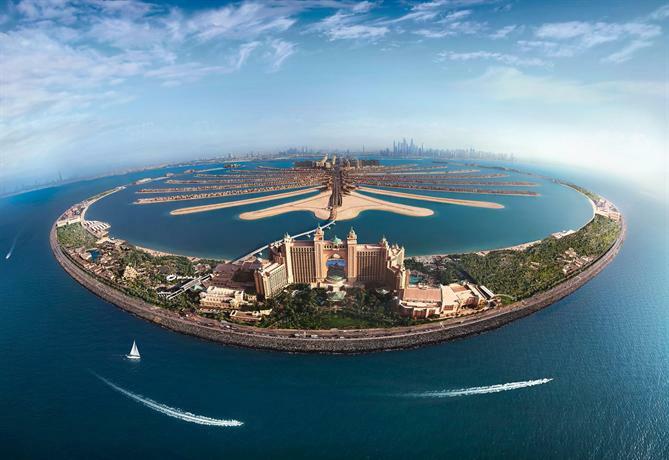 Atlantis The Palm was the first resort that was built on Palm Island, and it was designed to bring to life the myth of Atlantis the city that was lost underwater. There are elements of the sea in the décor, such as in the artwork, colour palettes, lighting, floor to ceiling aquaria, and ornamental pieces. The hotel lets you swim with dolphins and explore an underwater aquarium. The rooms at the resort have balconies with stunning views over the sea. Couples who want to indulge in the ultimate romantic experience have the option to take a room with a large terrace overlooking the palms or a large spa bath in the bathroom. There are several award-winning restaurants such as the Japanese restaurant Nobu, and beverages designed by Gordon Ramsay at the Bread Street Kitchen & Bar. Another romantic experience would be to enjoy shisha at the Levantine Bar and Terrace. Couples will also enjoy treatments at the ShuiQi Spa and keep fit at the gym with personal fitness coaches. The World Trade Centre self-catering apartments in Jumeirah can be a comfortable and luxurious home away from home. The apartments come with fully equipped kitchens and private spa baths. Bathrooms are fitted with rainfall showers. There is a rooftop swimming pool to relax in after a day of sightseeing or shopping. Couples can stay fit at the large gym and take a shuttle down to a private beach whenever they like. Guests can enjoy a romantic brunch or dinner with stunning views from the thirtieth floor of the World Trade Centre at The Club restaurant. There are plenty of shopping destinations nearby, for luxury brands and clothes, as well as numerous restaurants to choose from. 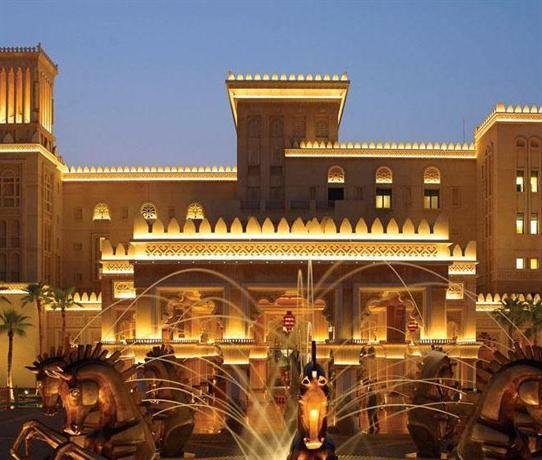 The Palace Downtown Dubai has a regal exterior. The rooms are comfortable and beautifully decorated with plush fabrics and furnishings. Baths are sumptuous with marble and mosaic. There are breathtaking views of a musical fountain on the palace grounds. The staff pays plenty of attention to detail and will go out of their way to help you have an enjoyable romantic stay, especially if it is your wedding anniversary. The hotel also has an Arabian-style spa with hammam, steam rooms, hot tub and monsoon showers. Dubai Mall, Souk Al Bahar and other shopping and entertainment centres are nearby.